Perfect Polish’s exclusive TerrazzoCrete™ seeded aggregate system is a cost effective alternative to traditional Terrazzo Flooring. TerrazzoCrete™ is the process of seeding decorative stone into freshly poured concrete or cementitious overlays. 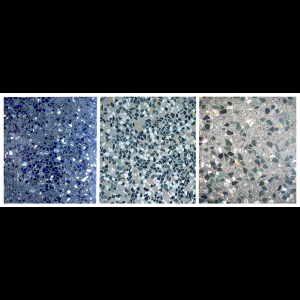 Perfect Polish’s exclusive TerrazzoCrete™ seeded aggregate system is a cost effective alternative to traditional Terrazzo Flooring. TerrazzoCrete™ is the process of seeding decorative stone into freshly poured concrete or cementitious overlays. Options are endless with pricing at about two thirds of the cost of traditional Terrazzo flooring. 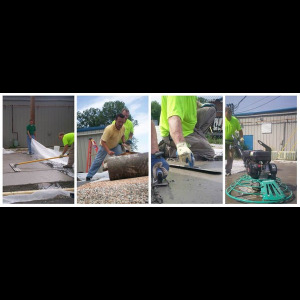 Prep new or existing slab by shot blast or grinding. Place expoy primer and sand to prepper surface. Premix selected aggregate into the cementitious overlay. Place and finish overlay at 3/8″ to 1/2″. Allow 24 hour cure then grind surface to achieve specificed aggregate exposure. Final polishing steps – to achieve specified sheen level. REDUCED COST: Cutting the costs by lowering the required material found in traditional Terrazzo Mix. EASE OF MAINTENANCE: There is no stripping and waxing involved with TerrazzoCrete™. The maintenance on these floors is simple and can be managed by your in-house janitorial staff. DURABLE: TerrazzoCrete™ is innovative and economical while still providing the durability and functionality that commercial buildings demand out of their floors. ENVIRONMENTAL: TerrazzoCrete™ contributes to environmental sustainability through economic and energy savings. This process aligns with the LEED rating system. Marble, quartz, glass and other specialty stones can be seeded throughout the floor. Seeded chips can be specifically placed with patterned designs to give a terrazzo-like finish. Integral color can be specified in the mix design to provide colored concrete without dying the stone.